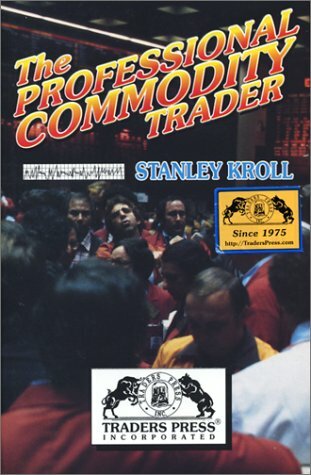 Reprint of 1973 classic in which legendary futures trader Stanley Kroll describes his trading adventures and discusses philosophy. It is a first person look-over-my-shoulder account of his trading campaigns during the wild and woolly markets of 1973, and a close look into his trading philosophy and techniques. Kroll's primary focus is on trading only with the major long term trend, and he favors entering trades only during significant reactions against the trend, and holding positions until either his long term price objectives are met, his protective stop loss level is violated, or it becomes apparent that the primary trend has changed direction. The book is filled with charted examples of Kroll's actual trades in various markets. He discusses at length the reasoning and timing behind the decisions involved in entering, adding to and liquidating each position. Most positions were idle for weeks or even months, which will be hard to imagine for today's quick in and out day trader. Kroll quotes throughout from the classic Reminiscences of a Stock Operator, which chronicles the trading experiences and philosophy of immortal speculator Jesse Livermore. The key sections to which Kroll refers are those in which Livermore advises that the big money is in the big move, and that his biggest profits were made simply by sitting tight. Kroll kept a copy of Reminiscences at his desk at all times for inspiration, whenever he felt tempted to exit a profitable position prematurely or to try scalping the market for small moves. Of special interest is the time period under study (1973) which was the wildest and most unforgettable year in memory. That's the year in which beans went from 400 to 1290 and back down to 500, wheat went from 140 to 645, and other markets made huge moves as well. While Kroll grabbed the bull by the horns and realized huge profits in these runaway bull markets, others cringed in fear and withdrew from trading, petrified by the risk inherent in huge moves consisting of strings of locked-limit days in both directions. Kroll's narrative is made credible by the inclusion of a summary detailing the track record of 38 individual accounts which he managed during the 1971-73 time period, which shows 37 of the 38 with net profits, with most showing annualized returns well in excess of 200 percent. The one loser lost less than 2 percent. In the aggregate, about $600M of capital was parlayed into almost $3 million during this period. The Professional Commodity Trader is fascinating reading for futures traders interested in formulating a viable, long term approach. If you have any questions about this product by Brand: Wasendorf n Associates Inc, contact us by completing and submitting the form below. If you are looking for a specif part number, please include it with your message.